Sportive and versatility are the Road Comp's best virtues - thanks to it's lightweight and efficient frame, wide ratio gearing, full mudguard compatibility combined with an efficient yet comfortable geometry you really can climb any mountain! The lightweight alloy frame (with it's sportive geometry) is constructed of triple butted tubing and finished with lovely smooth welds at all the joints. The frame has an abundance of key features which include: a aerodynamic down tube profile, oversize box section chainstays (for increased power transfer), internal rear brake cable routing, curved wishbone seatstays (for enhanced comfort), and has the compatibility for full length mudguards. For stiffness at the front end, the full carbon fork has a tapered steerer which also provides better steering precision. 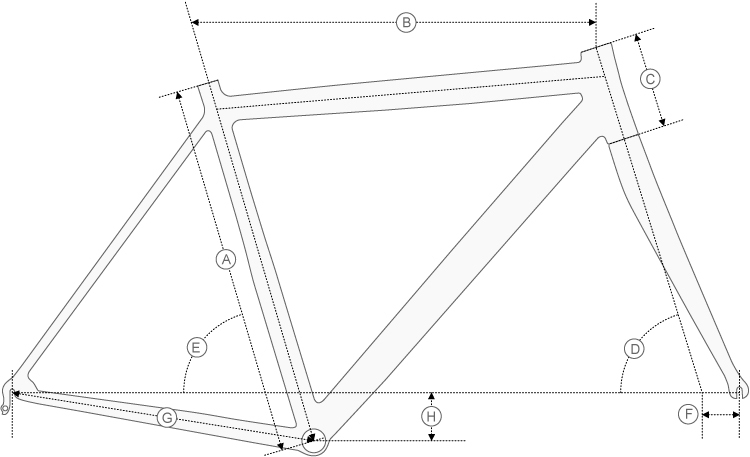 At Wiggle we measure each of our bikes to build accurate size charts. When you place an order for a bike, we ask for your height and inside leg measurements. Our team of qualified mechanics will check your measurements against the size chart to make sure that the size you choose will fit you correctly. Some people write about front derailleur on this bike, that this not APEX. What a front derailleur on this bike really? Additional information about kernel could not be loaded. Additional information about Swaine79 could not be loaded. Additional information about BaronRojo could not be loaded. Microshift. And tires Vittoria Zafirro. 1. What is maximum size of tyre that can be fitted? 2. Alloy or carbon seatpost? 3. Sealed hub bearings? Additional information about Cadel2 could not be loaded. Why it is not available in UK? Additional information about albut could not be loaded. I apologise but Halfords hold the retail license for Boardman in the UK. I apologise we cannot be of help in this case. Does this frame have BB30 with adaptor, or is it GXP or other? Please specify. I can confirm that this bike has a standard bottom bracket shell and is fitted with a FSA Mega Exo bottom bracket. I hope this helps. Can I select which crank length I want? Could you confirm 100% that the bike comes with an 11-32 cassette? Additional information about BM123 could not be loaded. Yes, the bike comes with an 11-32 cassette. Additional information about MrPeVe could not be loaded. I just have my road comp, it's a 11-32 cassette. And a Microshift Front Mech. Additional information about ringostar could not be loaded. I would like to know what diameter the seatpost is. Additional information about Limefreak could not be loaded. Additional information about Graveman could not be loaded. Hello, my wife is 171 cm long 81 inside of leg, looking for a more relaxed positioning. What size would suite her? Additional information about Shogberg could not be loaded. The medium size frame should be the most suitable for you. at 6'3 - would this be a good fit for me? Additional information about JJ83 could not be loaded. I would suggest if your inside leg measurement is longer than 33 inches the X-Large size would be most suitable. However if shorter than 33 inches the Large size will be more suitable. What are exact specifications with regards to - group set, wheelset and brakes in XS size model available right now? The bike specification should be as per listed within the item description.